I'm afraid this text is kind of difficult to translate. 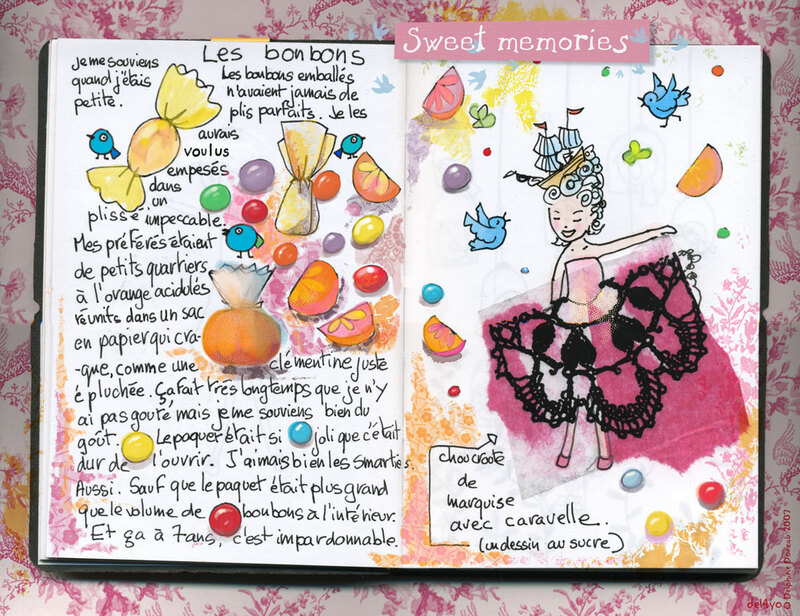 It's about the sweets I used to eat when I was a little girl 33 years ago. I really was a perfectionnist when I was a little girl. And there is also a sauerkraut of marquise with a caravelle on top. Smarties, in Europe, look like M&Ms. The boxes were bigger than the volume of sweets, why, but why?